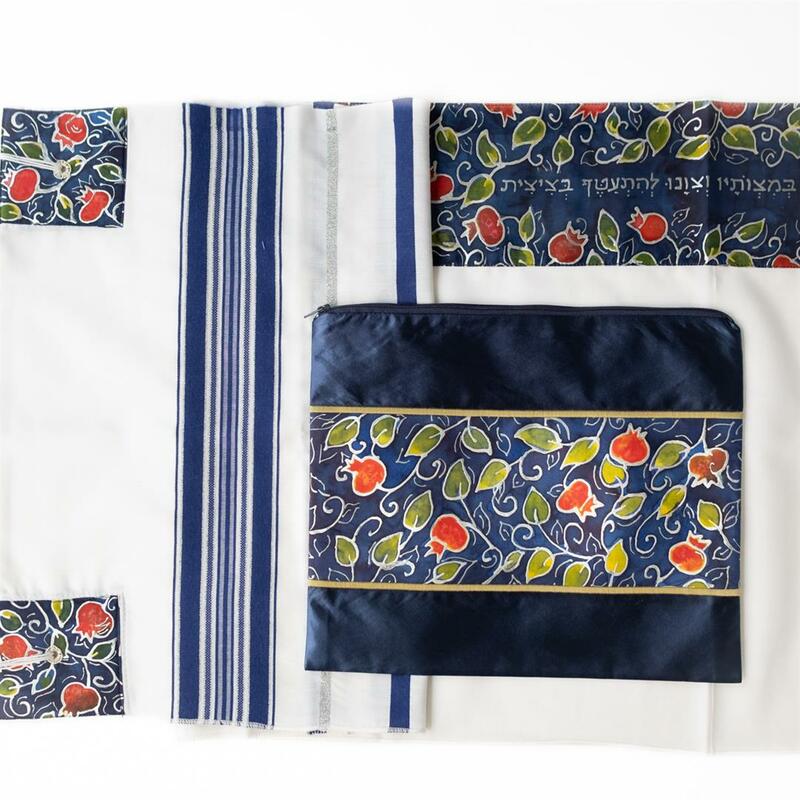 Traditional tallit with a twist! 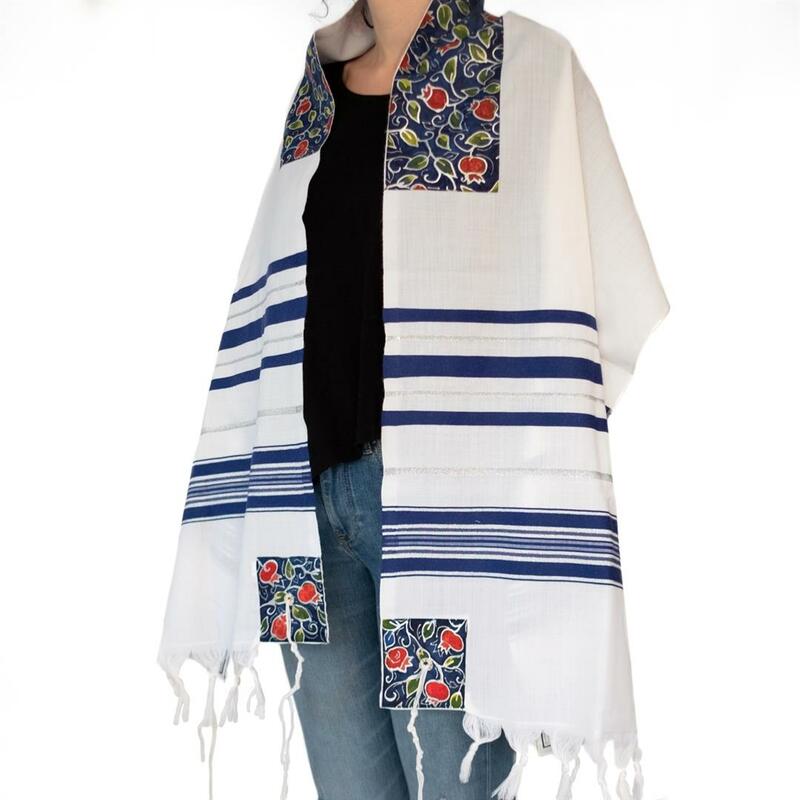 Beautiful tallit made of 100% wool with silk pomegranate designs on the neckband and corners. 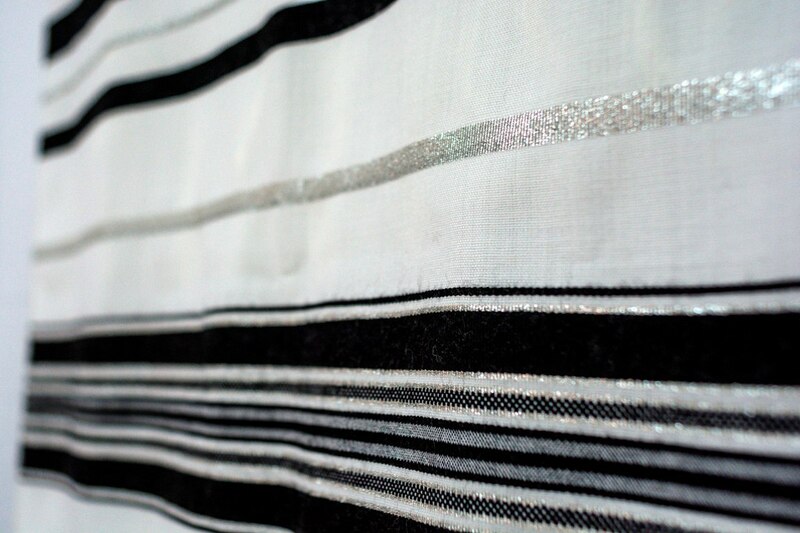 The atarah (neckband) is painted with part of the Hebrew blessing on the tallit: "Asher kideshanu bemitzvotav vetzivanu lehit'atef betzitzit". 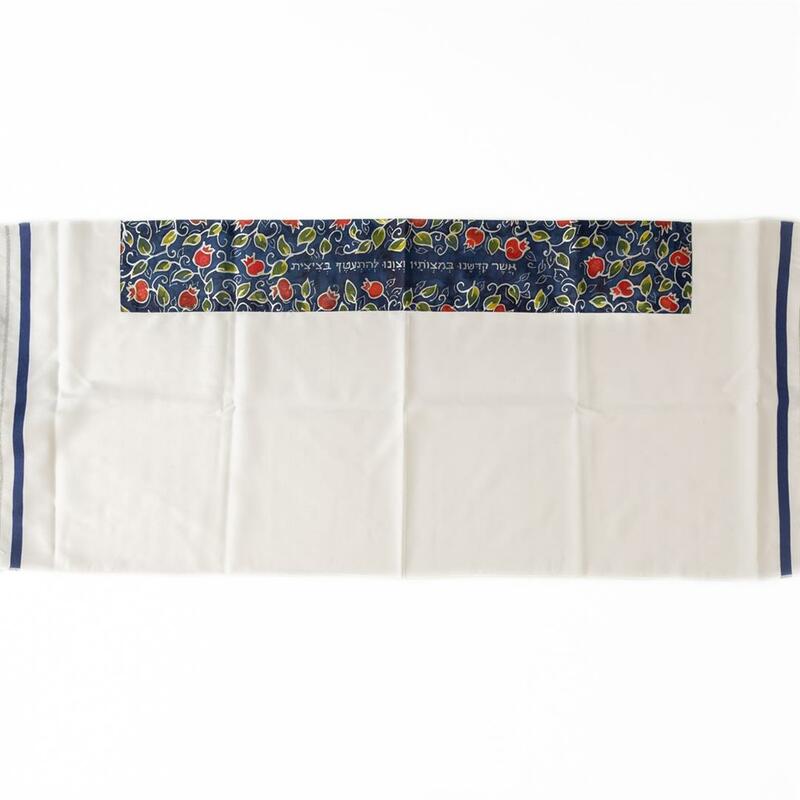 Design and bag colors vary and may come in blue, black, brown, green and others. 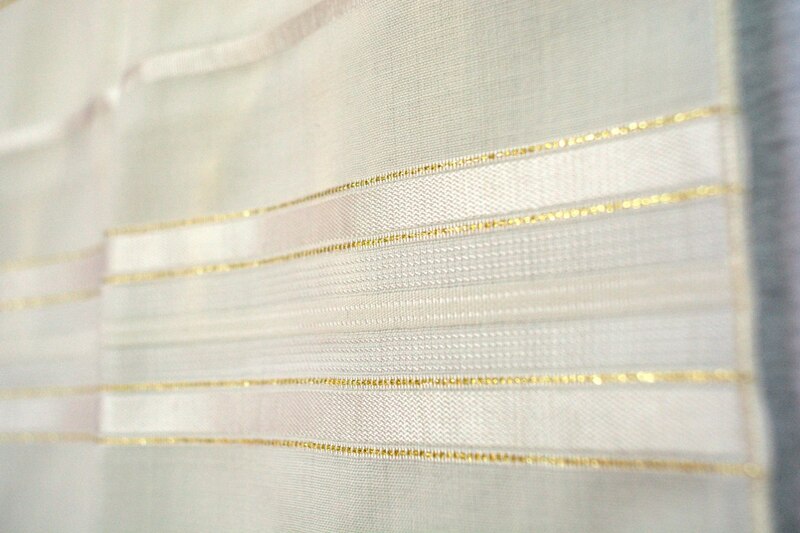 Size Small: Approximately 18" X 72"
Size Medium: Approximately 24" X 72"
Size Large: Approximately 60" X 72"
Please note: Stripes on the side of the tallit come in white, blue or black combined with either gold or silver. You may choose the main stripe color but we cannot guarantee the exact combination. Small - 18" Medium - 24" Large - 60"